1. Even though the kale is pre-cut, I always pull out the thick stems and throw those in the compost. Even cooked, they are tough to chew. 2. The salt pork was SO salty, I washed all the salt off in fear of it being TOO salty. 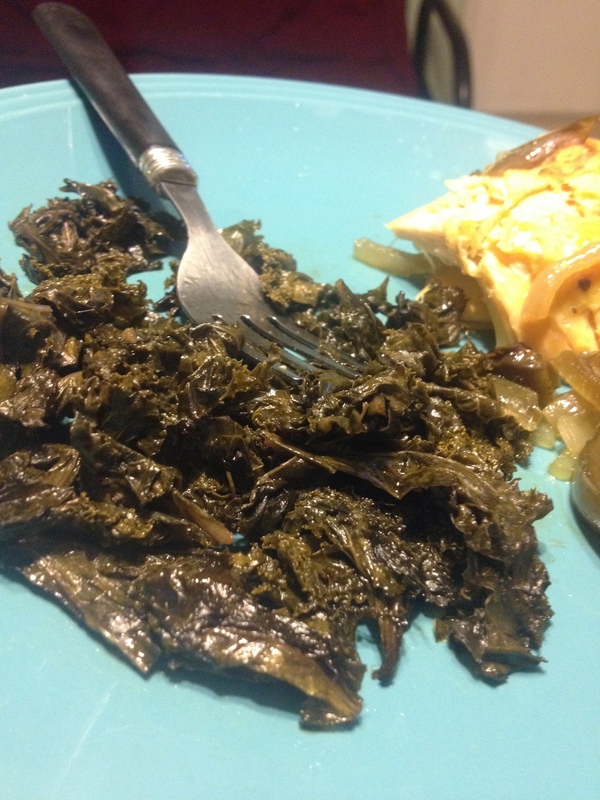 I used about 5 to 6 pieces dispersed evenly throughout the kale. Some on the top, some on the bottom, in the middle, and on the sides. 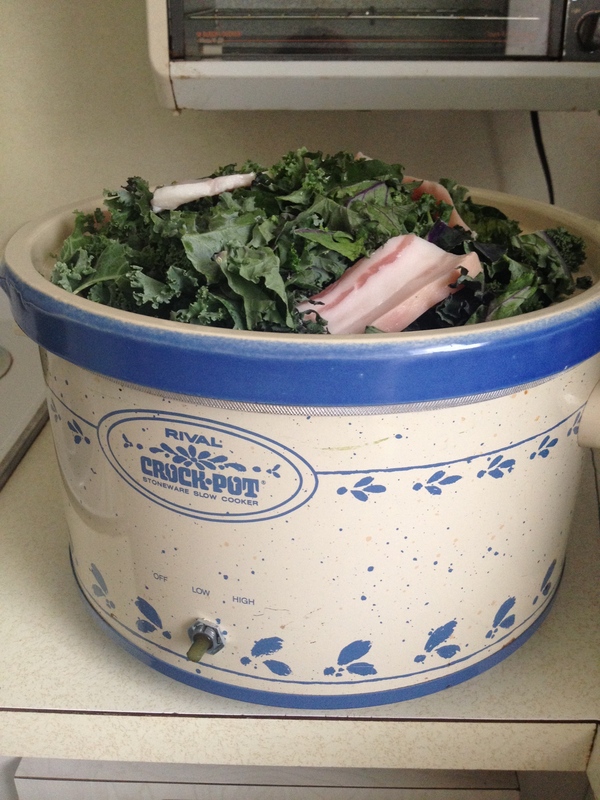 If you have any left over, freeze it for your next round of kale or collard greens. 3. Cover and cook 6 to 8 hours on LOW, depending on crock pot. Stir when you think about it to evenly flavor. Kale is done when easy to chew; no longer tough but NOT mushy. I think if I had left the salt on the pork, it would have been too salty. I liked the salt pork with this. Would use again. Served with a side of white fish.